Selecting a Rapid Prototyping Process in China, Compare different 3D printing, CNC machining, and injection molding technologies to find a process best suited for your project. 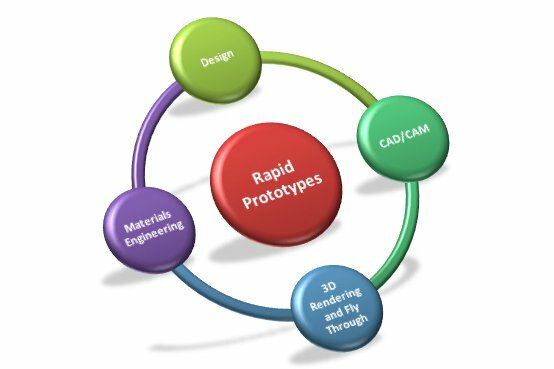 Many rapid prototyping processes are available to today’s product design teams. Some prototyping processes use traditional manufacturing methods to produce prototypes. Other technologies have emerged and have been improved upon over a relatively short period of time. There are dozens of ways prototypes can be made. As prototyping processes continue to evolve, the product designer is constantly trying to determine what process or technology is best for their unique application. This technical brief explores the advantages and shortcomings of the major prototyping processes available to designers. This paper provides detailed process descriptions and discusses material properties of parts produced by each specific prototyping process. In addition, a helpful decision tree highlights key questions designers must consider when choosing a prototyping process. Ultimately, the goal of this paper is to help you select the best prototyping process for your product development cycle. SL is an additive fabrication process that builds parts in a pool of UV-curable photopolymer resin using a computer controlled laser. The laser is used to trace out and cure a cross-section of the part design on the surface of the liquid resin. The solidified layer is then lowered just below the surface of the liquid resin and the process is repeated. Each newly cured layer adheres to the layer below it. This process continues until the part is completed. SL was the first “rapid prototyping” technology. 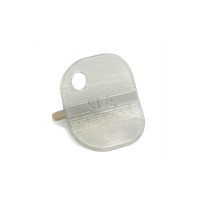 Prototype parts are not as strong as those made from engineering-grade resins, so the parts made using SL are typically unsuitable for functional testing. Also, since the resin is UV-curable, exposure to sunlight continues to cure the resin and parts can become brittle over time. Selective laser sintering (SLS) is one of four additive processes available at Proto Labs. During the SLS process, a CO2 laser draws onto a hot bed of thermoplastic powder, where it lightly sinters (fuses) the powder into a solid. After each layer, a roller lays a fresh layer of powder on top of the bed and the process repeats. SLS uses either rigid nylon or elastomeric TPU powders similar to actual engineering thermoplastics, so parts exhibit greater toughness and are accurate, but have rough surface and lack fine details. SLS offers a large build volume, can produce parts with highly complex geometries and create durable prototypes. SLS Parts tend to be more accurate and durable than SL parts. The process can make durable parts with complex geometries. The parts have a grainy or sandy texture and are typically not suitable for functional testing due to their reduced mechanical properties. 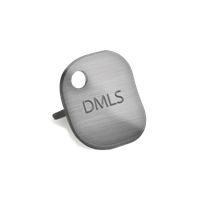 DMLS produce strong (typically, 97 percent dense) prototypes from a variety of metals that can be used for functional testing. Since the components are built layer by layer, it is possible to design internal features and passages that could not be cast or otherwise machined. If producing more than a few DMLS parts, costs can rise. Due to the powdered metal origin of the direct metal process, the surface finish of these parts are slightly rough. The FDM process builds parts from the bottom up through the use of a computer-controlled print head. The feedstock for the process is a filament of extruded resin, which the machine selectively re-melts and deposits on the prior layer for each cross section of the desired part. The FDM process primarily produces parts in ABS or PC, so they tend to be stronger than parts from other additive processes. However, the parts are sometimes porous and have a pronounced stair-stepping or rippling texture on the outside finish, especially at layer junctions. It may also be difficult to achieve tight tolerances with the process. 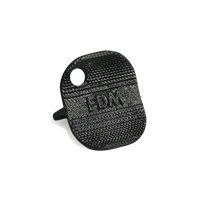 FDM parts are relatively strong and can be good for some functional testing. The process can make parts with complex geometries. The parts have a poor surface finish, with a pronounced rippled effect. It is also a slower additive process than SL or SLS from the standpoint of build time. In 3DP an inkjet print head moves across a bed of powder, selectively depositing a liquid binding material, and the process is repeated until the complete part has been formed. After completion, the unbound powder is removed leaving the finished object. 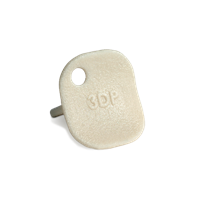 3DP offers one of the fastest build time of any additive process, and is also among the least expensive options for prototype quantities. Colored models can communicate more information and have aesthetic appeal. This plaster material is non-toxic, inexpensive, and readily available. The process can make parts with complex geometries. Parts are rough and weak, and there are very few material options. While 3DP can make parts with complex geometries, it gives no insight into the eventual manufacturability of the design. A solid block of plastic or metal is clamped into a CNC mill and cut into a finished part through a subtractive process. This method produces superior strength and surface finish to any additive process. It also has the complete, homogenous properties of the plastic because it is made from solid blocks of extruded or compression molded thermoplastic resin, as opposed to most additive processes, which use plastic-like materials and are built in layers. The range of material choices allows parts to be made with the desired material properties, such as: tensile strength, impact resistance, heat deflection temperatures, chemical resistance, and biocompatibility. Good tolerances yield parts suitable for fit and functional testing. Prototypes can be delivered in days like additive processes. Because the process is removing material instead of adding it, milling undercuts can sometimes be difficult. Machining also tends to be somewhat more expensive than the additive processes. Machined parts have a good surface finish and they are very strong because they use real engineering-grade thermoplastics and metals. There are some geometry limitations associated with CNC machining, and it is much more expensive to do this in-house than the additive processes due to the cost of the programmers and machinists needed to create CNC toolpaths and fixturing for the parts. PolyJet uses inkjet heads to jet a UV-curable material in very thin layers at high resolution. The materials are jetted in ultra-thin layers onto a build tray, layer by layer, until the part is completed. Each photopolymer layer is cured by UV light immediately after it is jetted. The gel-like support material, which is specially designed to support complicated geometries, is easily removed by hand and water jetting. This process yields a good surface finish; one of the best of the additive processes. It is a good additive choice for complex parts with undercuts. The process can support complex geometries and parts with multiple materials and colors. PolyJet parts have poor strength (comparable to SL). While PolyJet can make parts with complex geometries, it gives no insight into the eventual manufacturability of the design. Rapid injection molding works by injecting thermoplastic resins into a mold, just as in production injection molding. What makes the process “rapid” is the technology used to produce the mold, which is often made from aluminum instead of the traditional steel used in production molds. Molded parts are strong and can have excellent finishes. It is also the industry standard production process for plastic parts, so there are inherent advantages to prototyping in the same process if the situation allows. Almost any engineering-grade resin can be used, so the designer is not constrained by the material limitations of the prototyping process. 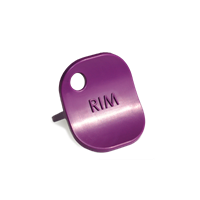 Additionally, metal injection molding (MIM) and liquid silicone rubber (LSR) molding offer rapidly molded parts in metals like stainless steel and LSR, respectively. There is an initial tooling cost associated with rapid injection molding that does not occur with any of the additive processes or with CNC machining. So in most cases, it makes sense to do one or two rounds of rapid prototypes (subtractive or additive) to check fit and function before moving to injection molding. Molded parts are made from an array of engineering-grade materials, have excellent surface finish and are an excellent predictor of manufacturability during the production phase. Front-end costs can be higher due to tooling costs. Begin by using the decision tree below to narrow down which factors are of highest importance to you based on the stage you are at in the prototyping process, referring to the definitions on page 8 as needed. Based on the recommended attributes for your most important factor(s) from Step 1, compare the processes using the matrix on page 8 to determine which process will be the best fit for your project. Assembly/Fit Testing: Making some or all of the parts of an assembly, putting them together, and seeing if they fit properly. At the gross level, this checks for design errors, such as placing two tabs at 2 in. spacing and the mating slots at 1 in. spacing. At the fine level, this is a matter of minor dimensional differences and tolerances. Obviously, any test involving tolerances needs to use the actual manufacturing process or one which has similar tolerances. Functional Testing: seeing how a part or assembly will function when subjected to stresses representing what it will see in its actual application. Life Testing: testing properties that may change with time and that are important for a product to remain functional throughout its expected life. Life testing often involves subjecting the product to extreme conditions (e.g., temperature, humidity, voltage, UV, etc.) to estimate in a shorter period of time, how the product will react over its expected life. Mechanical Properties: fatigue strength: ability to withstand large numbers of load cycles at various stress levels. Regulatory Testing: testing specified by a regulatory or standards organization or agency to assure parts are suitable for a particular use such as medical, food service or consumer application. Examples include Underwriters Laboratory (UL), the Canadian Standards Association (CSA), the US Food and Drug Agency (FDA), the US Federal Communications Commission (FCC), the International Standard Organization (ISO) and the European Commission (EC). Biocompatibility: the ability of the resin or part to be in contact with human or animal bodies, outside or inside the body, without causing undue adverse effects (e.g., irritations, blood interactions, toxicity, etc). Biocompatibility is important for surgical instruments and many medical devices. Prototype models help design teams make more informed decisions by obtaining invaluable data from the performance of, and the reaction to, the prototypes. The more data that is gathered at this stage of the product development cycle, the better the chances of preventing potential product or manufacturing issues down the road. If a well thought out prototyping strategy is followed, there is a far greater chance that the product will be introduced to the market on time, be accepted, perform reliably, and be profitable. What is the best way to get a prototype made? The answer depends on where you are at in your process and what you are trying to accomplish. Early in the design process, when the ideas are flowing freely, concept models are very helpful. As the design progresses, a prototype that has the size, finish, color, shape, strength, durability, and material characteristics of the intended final product becomes increasingly important. Therefore, using the right prototyping process is critical. In order to most effectively validate your design, pay close attention to these three key elements of your design: functionality, manufacturability, and viability. If your prototype can faithfully represent the attributes of the end-product, it is by definition functional. These requirements often include such things as material properties (e.g., flame resistance), dimensional accuracy for fit-up with mating parts and cosmetic surface finishes for appearance. If your prototype design can be repeatedly and economically produced in a manner that supports the requirements of the end-product, it is by definition manufacturable. These requirements include the ability to maintain the functionality of the design as described above, keep the piece-part cost below the required level, and support the production schedule. No matter how great a design is, it will go nowhere if it can’t be manufactured. Make sure your prototyping process takes this into consideration. Finally, even if your prototype design is functional and manufacturable, it doesn’t mean anyone will want to use it. Prototypes are the only true way to verify the viability of the design in this sense. If your design can also pass the challenges associated with market trials (e.g., trade show displays, usability testing) and regulatory testing (e.g., FDA testing of medical devices), you’re well on your way to a successful product launch.